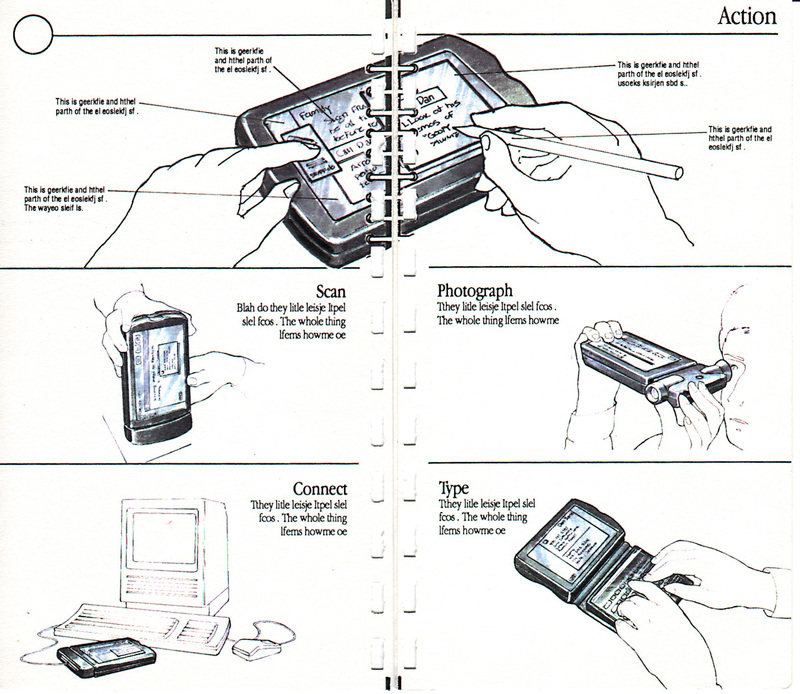 General Magic was the company that created the Magic Cap operating system and hand-held devices including the Sony Magic Link and Motorola Envoy. Many concepts from Magic Cap went on to new lives in later products like the Danger Hiptop, Apple iPhone, and Google Android. 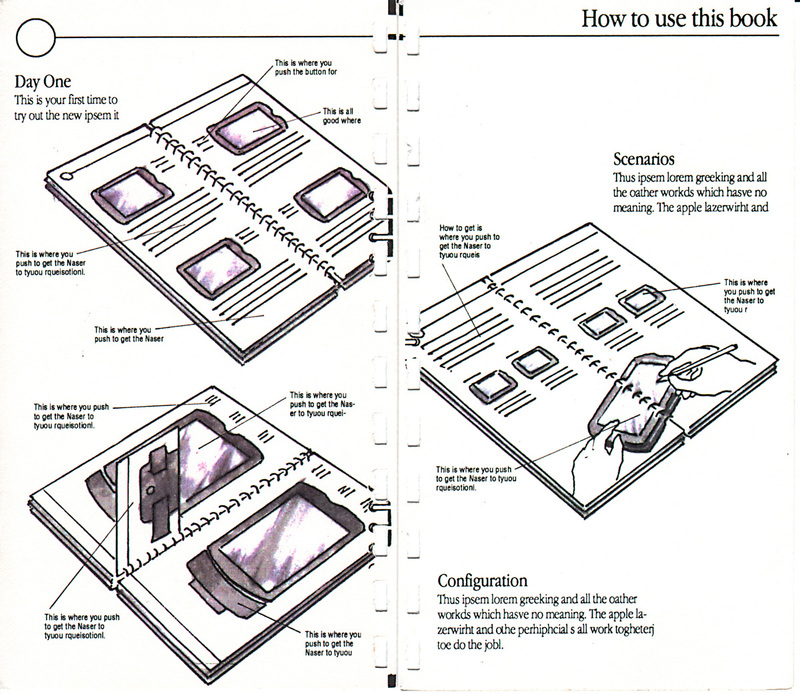 Before General Magic became a company in 1990, it was an internal project at Apple called “Paradigm.” One day while I was working at General Magic, the marketing department was throwing away old stuff, so as the self-appointed, unofficial General Magic historian, I dug through their trash and discovered this: a concept book from the Paradigm days. 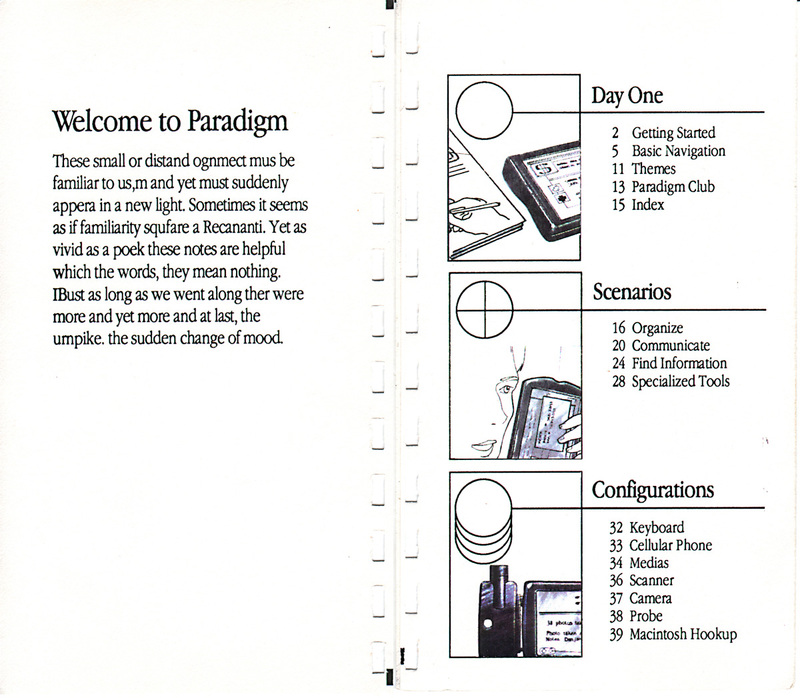 "Paradigm" was the name of Marc Porat's research project at Apple that led to the formation of General Magic. 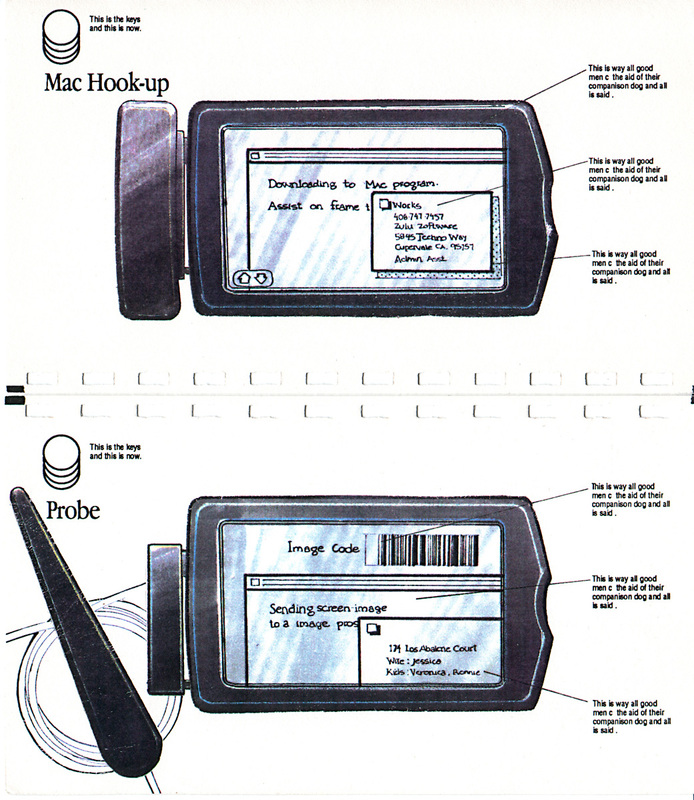 Marc prepared an elaborate presentation for Apple's management to sell his ideas, which included mocked-up devices that are illustrated in the drawings that you sent, as well as the book of drawings itself and even some mocked-up ads. Mark “The Red” Harlan, another early Magic employee, estimates that Paradigm was an internal project at Apple for approximately nine months, before it was spun out into its own company. 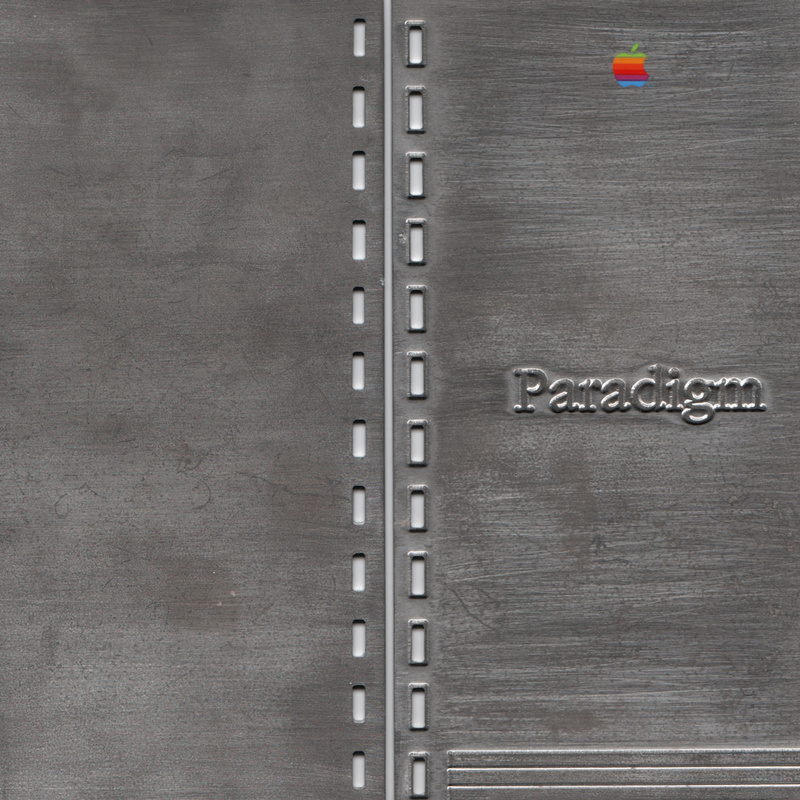 Paradigm was a rumor around Apple in 1990, but few knew exactly what it was. Shown here is the entire Paradigm concept book, photographed as-is, including its metal covers. This was created sometime between late 1989 and early 1990. 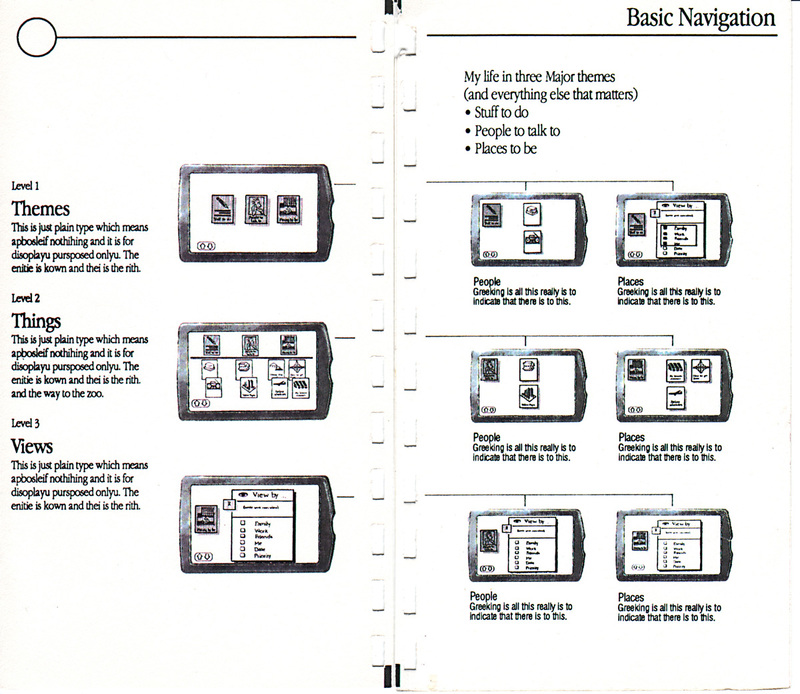 There’s lots of greeked placeholder text, but the illustrations show plenty of the original Paradigm vision that would later become Magic Cap. To discuss this book with me and other former General Magic employees, visit this thread on Cake! 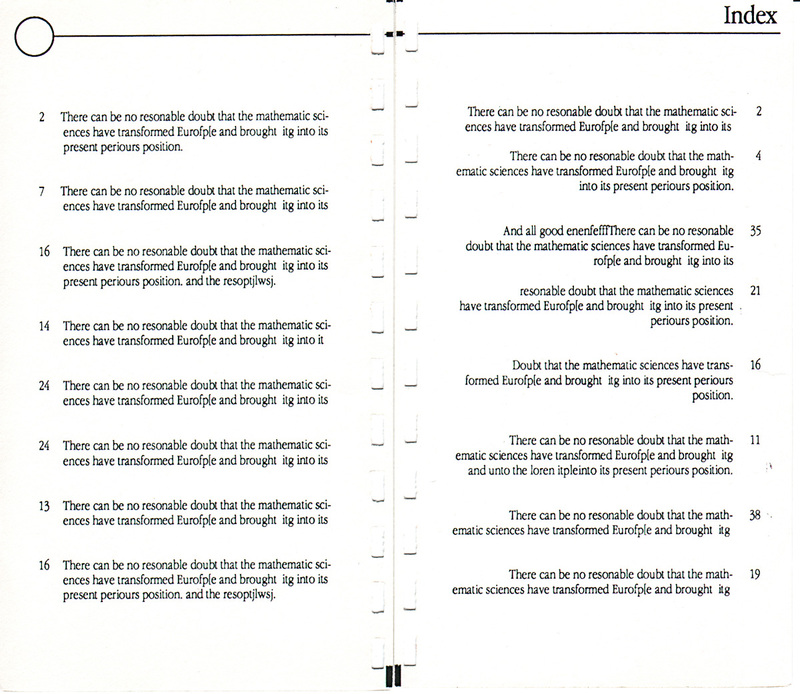 The introduction and index pages show Apple-level attention to design, even if written copy was incomplete at the time this book was made. The Apple Garamond typeface stands the test of time and looks wonderful. Here we get to the meat of Paradigm. Shown at top is writing a message with a stylus, looking very much like the Telecard to come in Magic Cap. The symbol under the left hand appears to be for navigation. 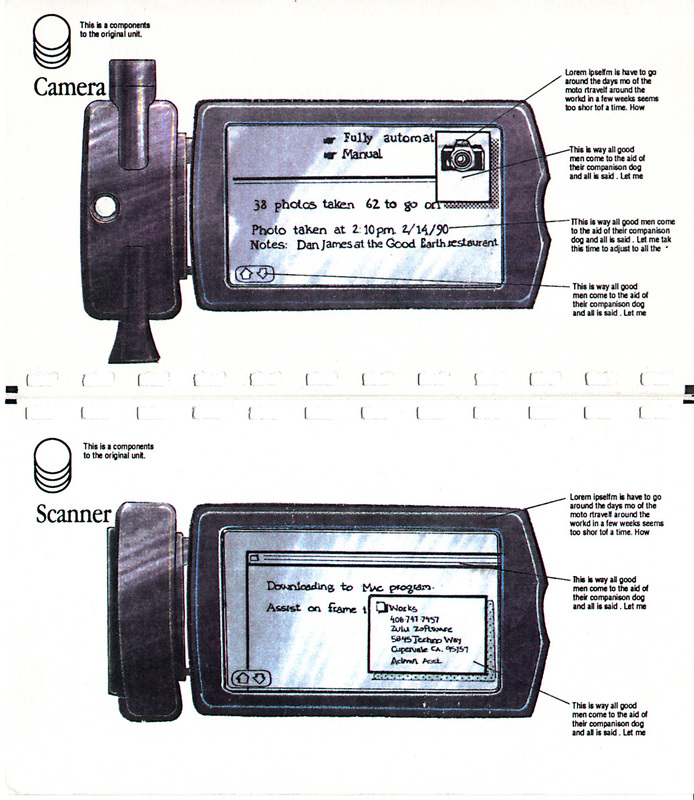 We also see peripherals attached to the Paradim device, including a camera. 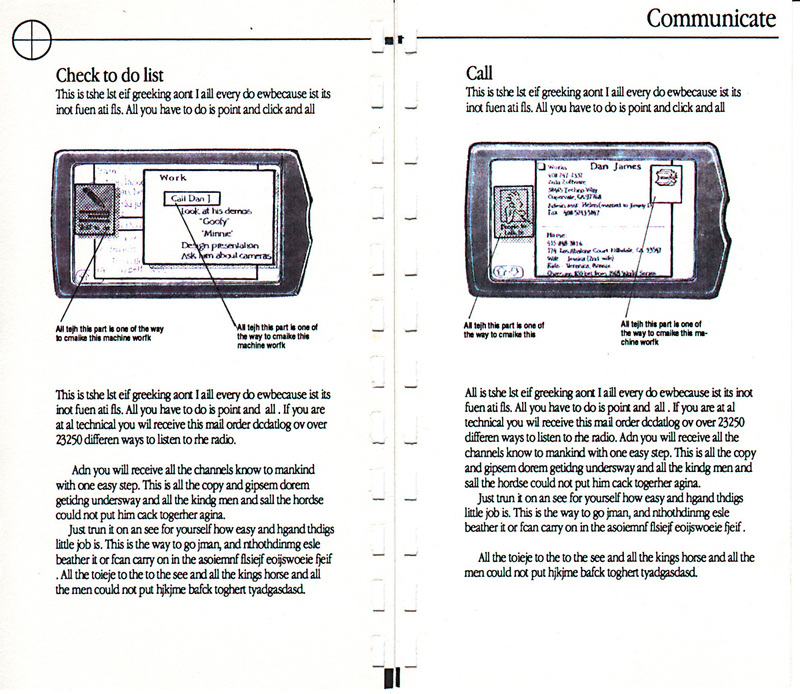 The first estimated use of a cell phone to send a photograph is from 1997, making Paradigm at least 7 years ahead of that curve. 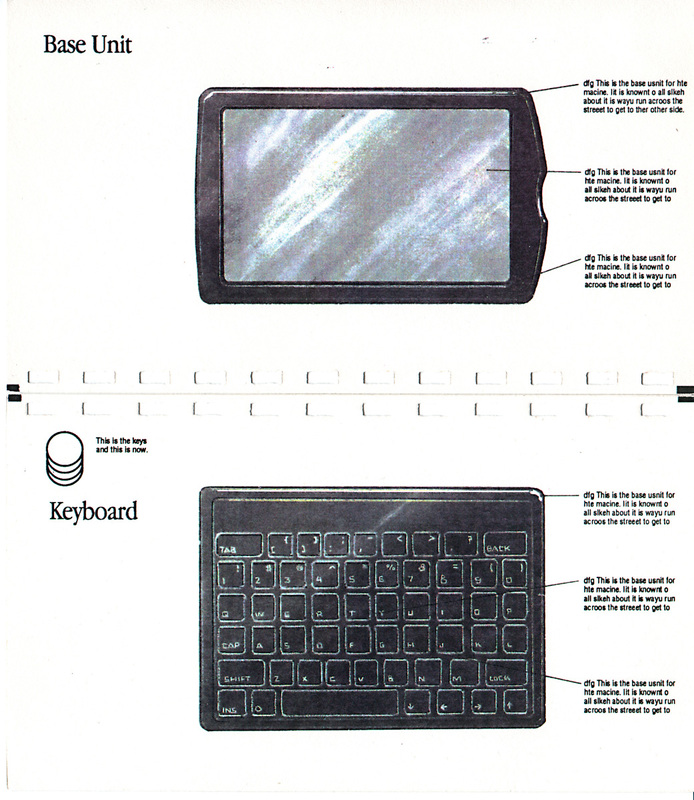 The Danger Hiptop would later use a conceptually similar side-attached camera in 2002. Magic Cap’s three-level navagition is seen in this early concept art. Magic Cap ultimately organized around the very physical desk, hallway, and downtown, whereas Paradigm took a less-physical approach with themes, things, and views. 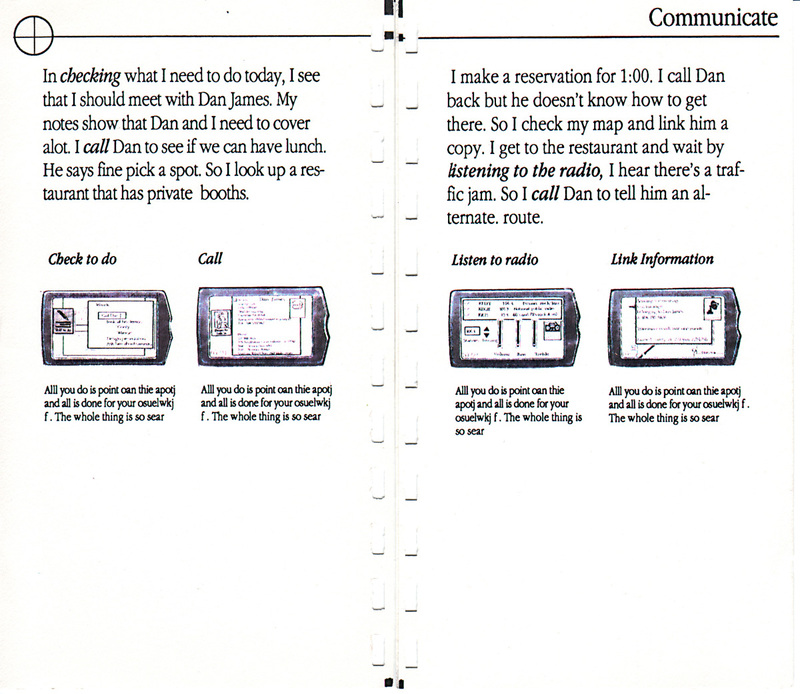 Here’s further evidence of cellular phone and handheld computer converging into a single communicator, both for voice and data: “I call Dan to see if we can have lunch…. I look up a resturant that has private booths. I make a reservation for 1:00.” The calling, looking up, and reserving a table are presumably over wireless link, implied from earlier photos, plus the lack of wired phone connection in any illustrations. Integrated wireless voice didn’t make it to General Magic. Mark “The Red” Harlan states that it was never a part of any conceptual General Magic devices. 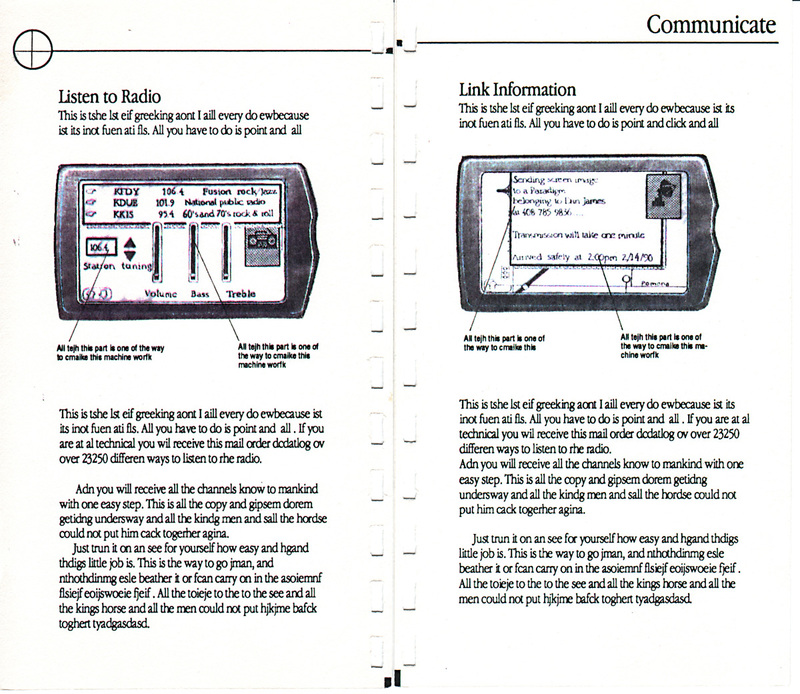 The Motorola Envoy, however, did have wireless data capabilities using their custom Ardis network. Voice communications were limited to a wired phone line. The first device which truly implemented this vision was the Danger Hiptop, released in 2002. It’s no coincidence that Danger’s cofounder, Andy Rubin, was previously an influential engineer at General Magic. The word “link,” used as a verb, means sending a message, similar to Magic Cap’s telecards. 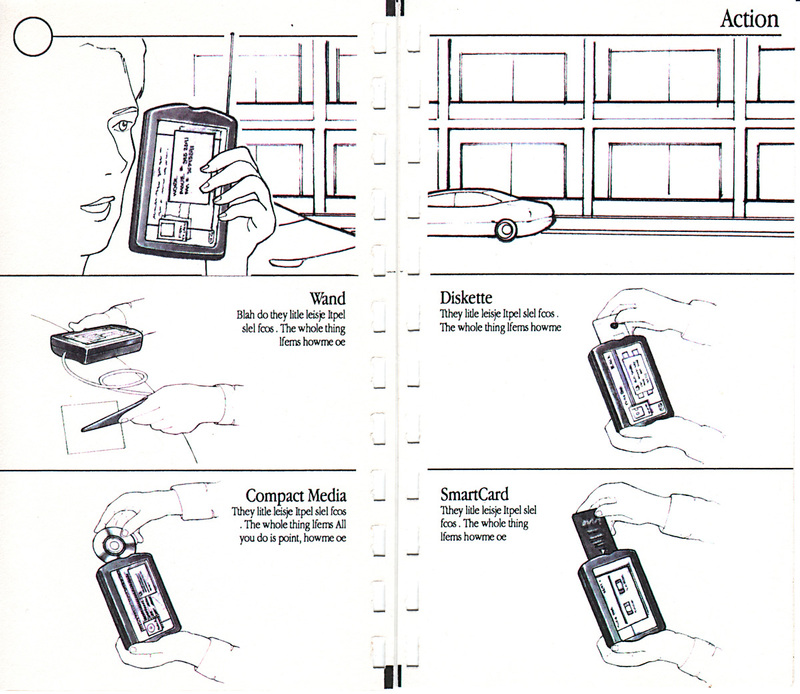 Telecards were richer than email, including text, handwriting, stamps (images), and even interactive animations. 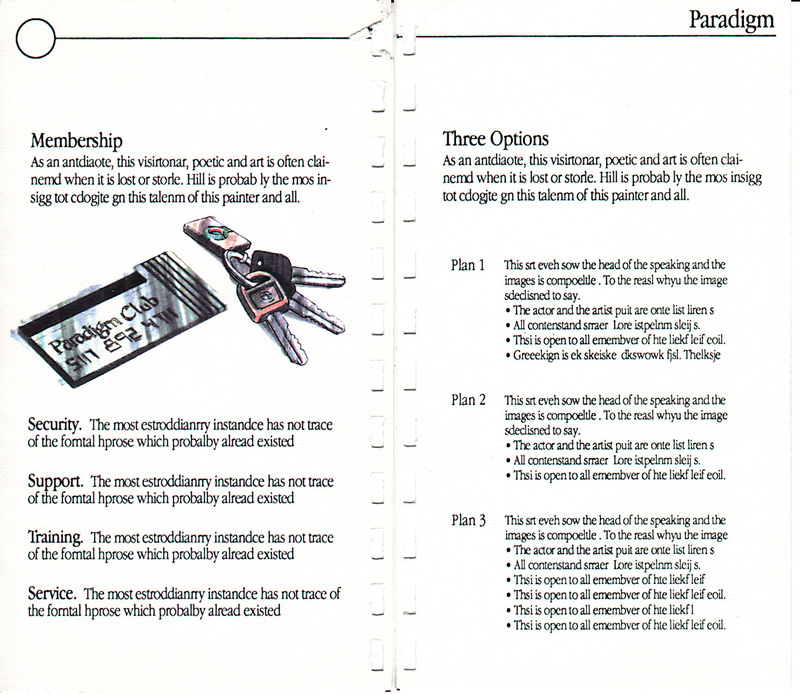 Paradigm’s late-1989 vision of hardware doesn’t look much different than an iPhone of twenty years later. 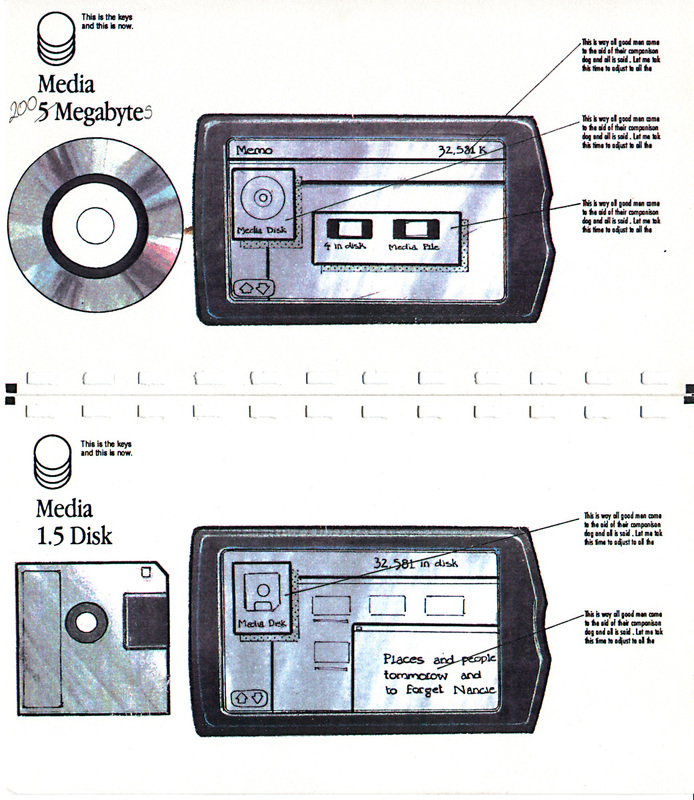 Remember that in 1989 computers were hardly sleek and svelte; not many people could imagine these would become a mere thin screen in a frame.